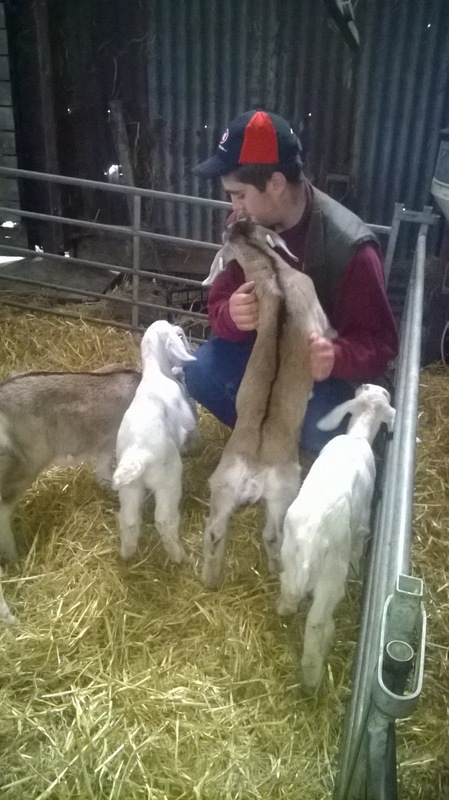 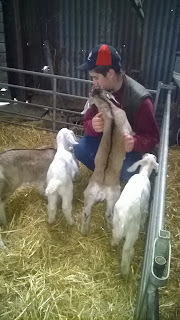 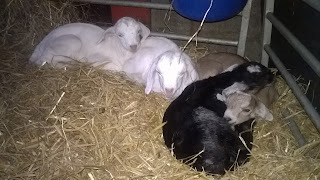 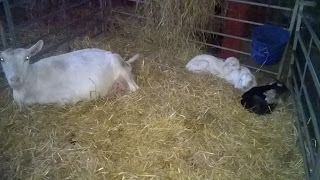 Ellie's Dairy - The Finest Goat Milk, from Kent: Babies move house! Cleo's little Nubians all snuggled up in the corner next to Gilly's babies ..
As you see, Gilly was quite happy with this new arrangement. Cleo, however, was not .. standing up on the gate shouting for her babies to come back home. 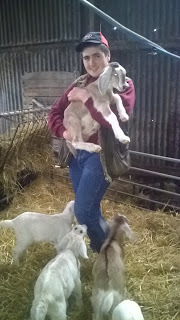 Poor Cleo! This afternoon we hosted a visit from Hadlow College agriculture students. 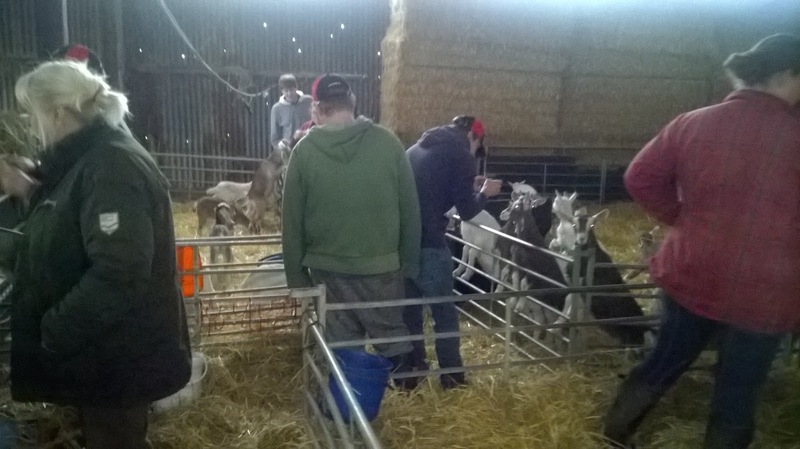 A small group of enthusiastic students spent a couple of hours with us, chatting to the goats and learning a little about how the dairy works. 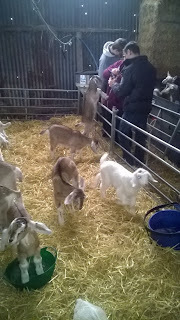 Most of them were also game for trying our delicious raw milk .. And it went down rather well!